After announcing that the Xbox One will offer backward compatibility with the games of the first Xbox console, now Microsoft announced that it will release an updated version of the console’s controller, which is known by the nickname ” The Duke “. The nicknamed “Duke” controller for the original Xbox was big, bold and tough. 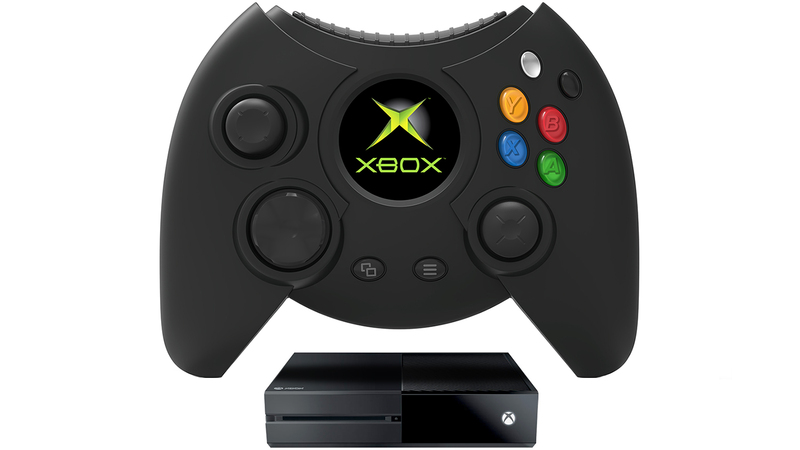 On June 11, Hyperkin, a video game hardware development company from Los Angeles, announced that – in partnership with Xbox – it is bringing back The Duke for the Xbox One family of devices (Xbox One, Xbox One S, and Xbox One X) and Windows 10 PCs. Hyperkin’s Research and Development team sought the assistance and the blessing of Seamus Blackley, who played an integral part in the original Xbox team. The Duke sports a faithful recreation of the original controller’s form-factor with some updated features: a logo display screen, left and right bumpers, and a 9 ft. detachable cable. Originally known as The Duke, this replica will present the same size and design of its ancestor, but in addition to connecting both wired and wirelessly via Bluetooth, instead of carrying a decal with the logo of the console, it will carry an LCD screen with a animated logo. The price has not yet been revealed, but it will be available by the end of this year to a limited extent.